Roger Johns is a former corporate lawyer and retired college professor. 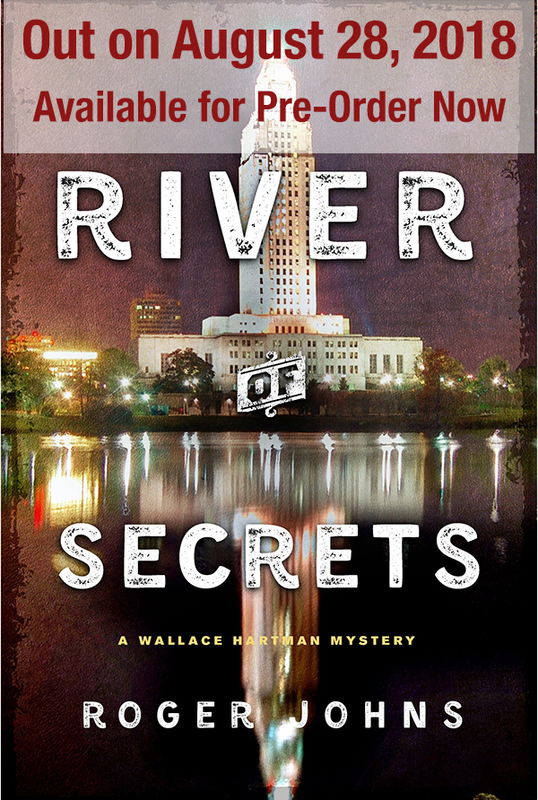 He is the author of two mysteries set in Baton Rouge, LA and featuring female homicide detective Wallace Hartman––Dark River Rising (August 2017) and River of Secrets (August 2018), from St. Martin’s Press-Minotaur Books. He and his wife live in Georgia. Visit him at www.rogerjohnsbooks.com. As I move into the fourth quarter of life, I have become increasingly fascinated with how the circumstances of my early years brought me to where I am today. I grew up in Alexandria, LA, a small town situated at nearly the exact north-south and east-west mid-points of the state. Although my father’s side of the family had roots there going back to the early 1940s, I lived in Alexandria from only 1960 to 1974. The town, as well as the general area of the state, was referred to as Central Louisiana––a designation reduced to Cenla in advertisements and Chamber of Commerce-type brochures. To the best of my recollection, Cenla, the semi-official nickname for our little corner of the world, was almost exclusively an in-print phenomenon. The only time I ever encountered it as a spoken word was when it came from the mouths of non-natives, and then it was usually enunciated in a mocking tone, as if, in true hick-town fashion, we had somehow managed to smear a hayseed gloss on an otherwise dignified description. Other small towns have surely suffered worse at the hands of out-or-towners, so I’ve learned not to let my blood pressure spike whenever I recall these lapses in decorum. Alexandria was an interesting town in a lot of ways, and its geographic location may have played a role in that. The unofficial motto of Louisiana––‘Laissez les bon temps rouler’––is fairly well-known. For all you non-French speakers out there, it means ‘Let the good times roll’. Or, if you’re not hung up on literal translations: ‘Party on with your bad self’. What may be less well known is that this motto is really more descriptive of the life-style in the southern half of the state. The northern half is regarded by some as a bit more straight-laced. Okay . . . maybe by more than some, and maybe more than a bit. I have often wondered whether being stuck right on the geographic boundary between the kingdoms of virtue and vice played a role in the development of the town and its personality, but I’ll have to leave those questions to the sociologists. Whatever the case may be, Alexandria was certainly an interesting place and, for a town of only about 40,000, in what was then a relatively poor southern state, it had a lot going on. There were two active theater companies that staged plays and operas, a symphony orchestra, at least three radio stations, a television station, a railroad station, a bus station, a zoo, an airport, an Air Force base, a hot springs resort, two bowling alleys (one of which was owned by my father’s sister’s husband), two country clubs, four movie theaters, a federal district court, a Catholic bishop, an Episcopal bishop, four high schools, two orphanages, three thriving business districts, occasionally a minor league baseball team, a thoroughbred breeding farm, and if you throw in Pineville––its sister city just across the Red River––two colleges. Alexandria also produced at least two notable novelists. With The Flame and the Flower, in 1972, Kathleen Woodiwiss pioneered the historical romance genre and she is credited with being the first romance writer to take the reader behind the bedroom door. So, if you’re looking for the root of the ‘provocative romance’ phenomenon sparked by E. L. James and her Gray novels, it came from Alexandria. Since the statute of limitations on such youthful mischief has surely expired by now, I feel safe confessing that I repeatedly sneaked The Flame and the Flower out of my parents’ bedroom and read it in bits and pieces, when I was a sophomore in high school. It may be tame in today’s marketplace, but this Catholic-school kid had never seen anything quite like it. Twenty years later, with Little Altars Everywhere, and again in 1996, with Divine Secrets of the Ya-Ya Sisterhood, Rebecca Wells proved to be a standard-bearing author of women’s fiction. So, if you’re curious about the origin of the classic presentation of a woman’s journey from girlhood into adulthood, you’ll find that it came from Alexandria, as well. 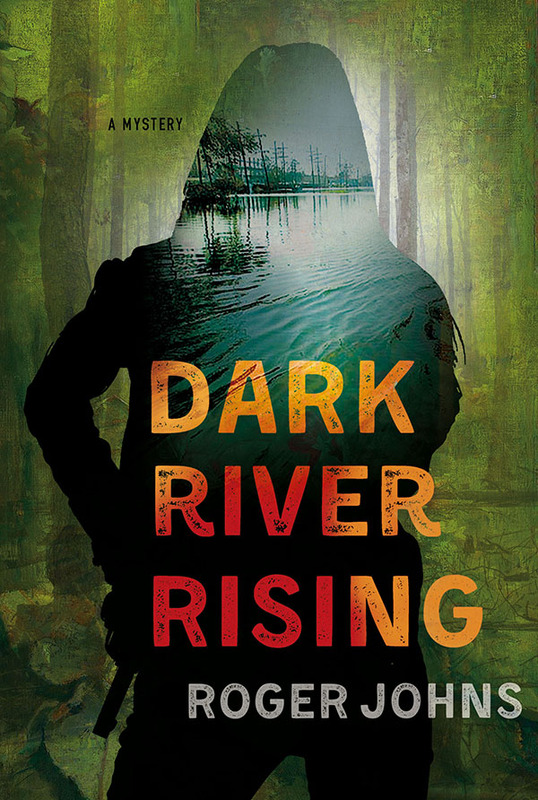 Interestingly, the writing careers of both women began years after they moved far away from Alexandria and Louisiana. The better part of a half century has passed since I too moved away from Cenla. I have little in the way of family or friends still there, and over the years I have visited only rarely and with decreasing frequency. Yet its impression on me is strong and undiminished. Why there was so much happening in such a small town, so far from any other sizable towns, remains a mystery to me. How it managed to produced two such influential writers, is another mystery. Perhaps being caught between the strong opposing cultural currents that pulled from the north and the south had something to do with it. Regardless of how this came to be, I drew courage and inspiration from these women as I took those first timid steps on the path to my own writing career. Interesting post, Roger. I haven’t lived in my hometown in Pennsylvania for over 45 years, but I still feel it’s influence and miss it the longer I am away from it. I’ve never been to Louisiana, but you make it sound like a place I would enjoy visiting.